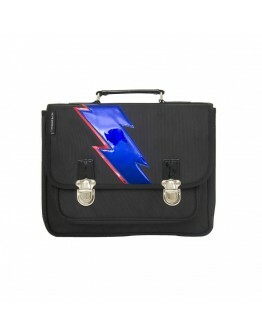 Caramel et cie a French brand - specialty book bags, school bags, backpacks. Online webshop Grote Schatten | Caramel et cie - large choice - delivered quickly! Book bags from Caramel et cie.
Bookbag - School bag primary school Chasse aux papillons - Caramel et cie.
What a beautiful, handsome book bags from the French brand Caramel et cie. This brand Caramel & Cie has designed a range of bookbags, school bags and backpacks that are very beautiful and sweet in design, and they are also very original in terms of design and comfort! Admire our Caramel et Cie collection and be amazed by the nice price quality ratio! 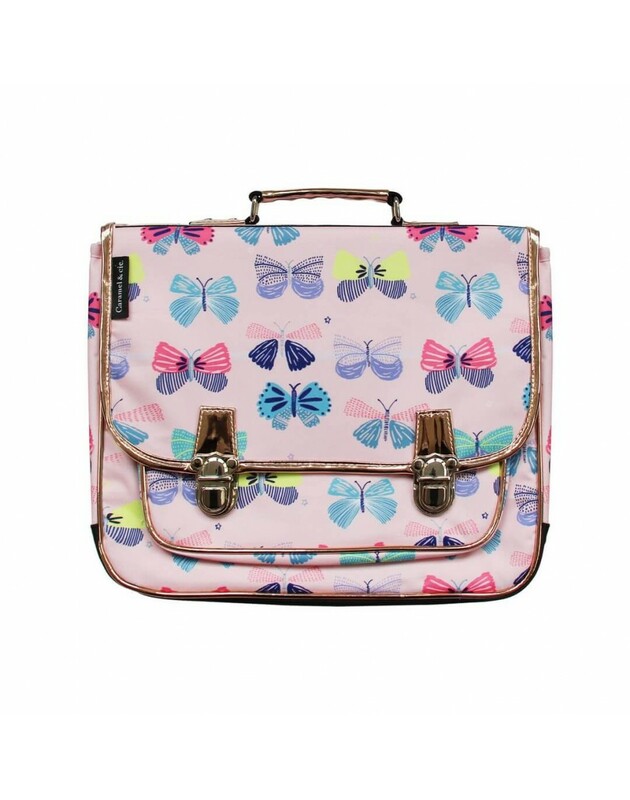 This bookbag called 'Chasse aux papillons' by Caramel et cie is tough and sweet at the same time, the school bag is pretty, very lightweight and functional. 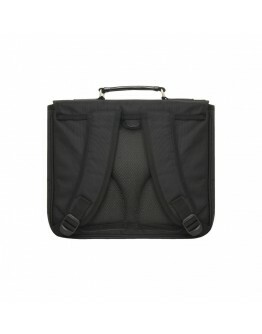 The school bag is inside with two compartments that are perfectly suited for an A4-sized folder. 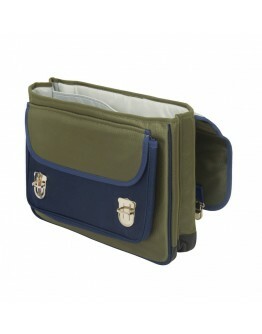 This bookbag also has a spacious front pocket with a handy velcro closure. 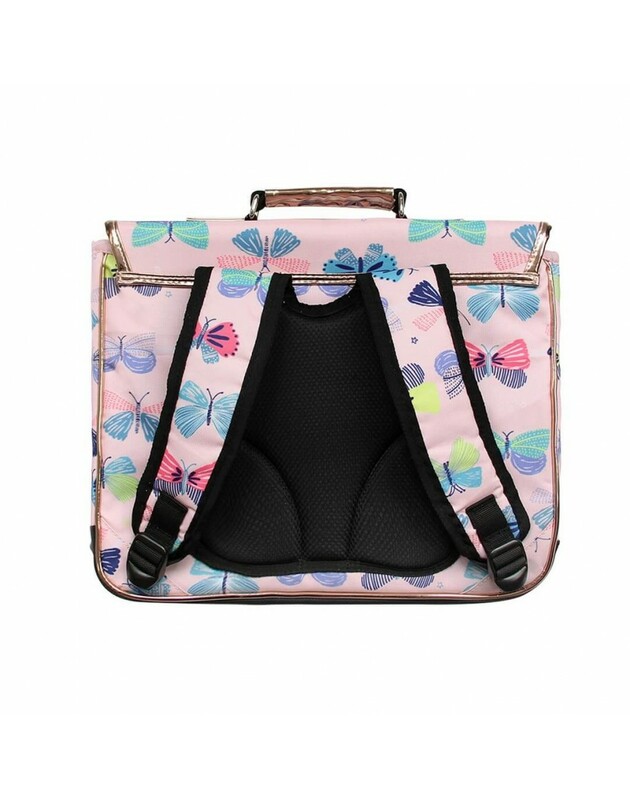 The school bag is also equipped with two pressure closures that are again very child-friendly because they are very easy to open and close. 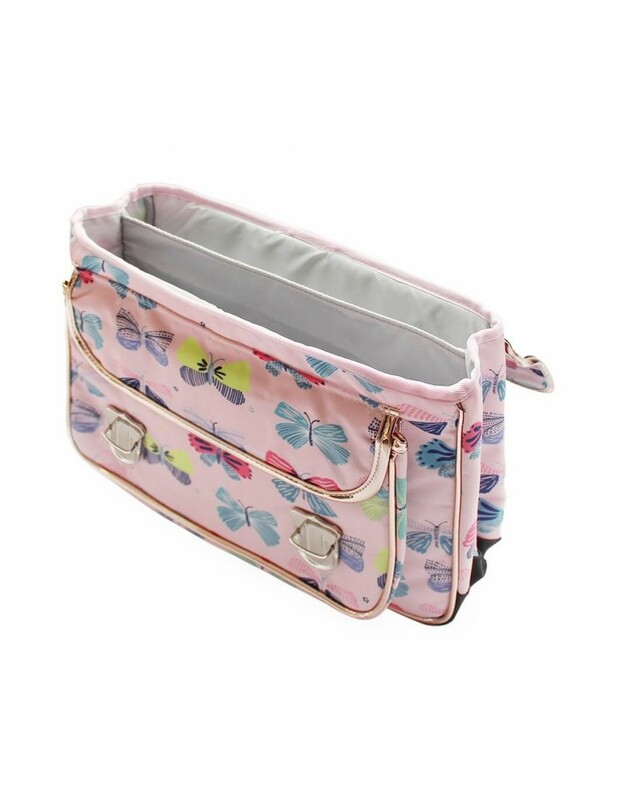 The school bag of Caramel et cie is also equipped with an extra handle, the place where there is the fastest wear and so you always have a spare at hand. There is also the possibility to mention your name in the name label in the Caramel et cie bookbag. With this Caramel et cie bookbag your child will go to school safely! The Caramel et cie school bag is also made of 100% polyester, two adjustable ergonomic shoulder straps that are very easy to use and a padded back. 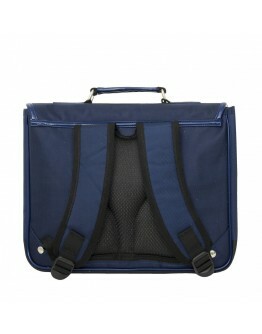 This provides extra reinforcement on the back and shoulders. The Caramel et cie bookbag is of excellent quality and perfect in size and size for your child who goes to the first year, the second year ... or even to the sixth grade! 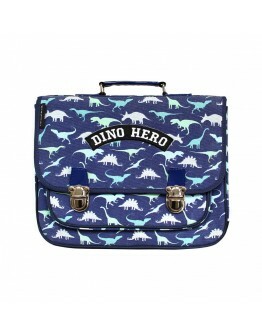 If your daughter or son goes to primary school, then this bookbag is perfectly suited for your school-aged child. As proud as a watering can to the first year with this beautiful MEDIUM bookbag from Caramel & cie.
What should not be missed in the bookbag is the water bottle, drinking bottle from DOPPER so you never have to give away plastic bottles in the bookbag of your child and you contribute to our environment! 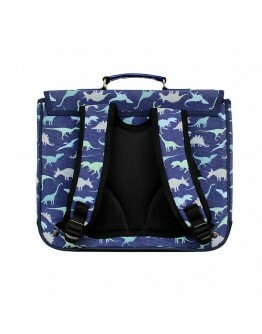 SHOP THIS ORIGINAL CARAMEL ET CIE BOOK BAGS ONLINE AT GROTE SCHATTEN - THE BEST ONLINE KIDS WEBSTORE. 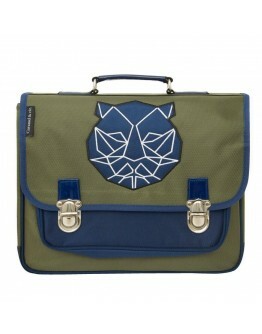 Looking for a nice bookbag, schoolbag or backpack for your Grote Schatten. 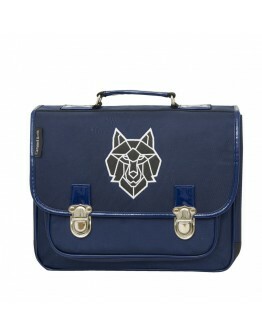 you'll certainly score with these beautiful book bags from Caramel & cie!